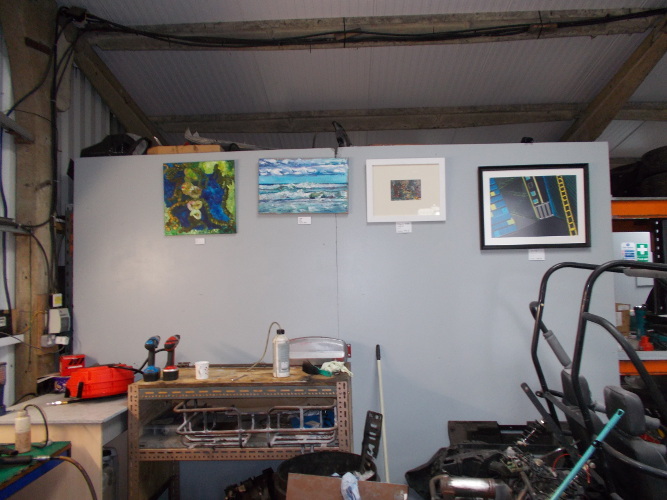 When you take your car to the garage, you don’t often find a wall of art in the workshop. 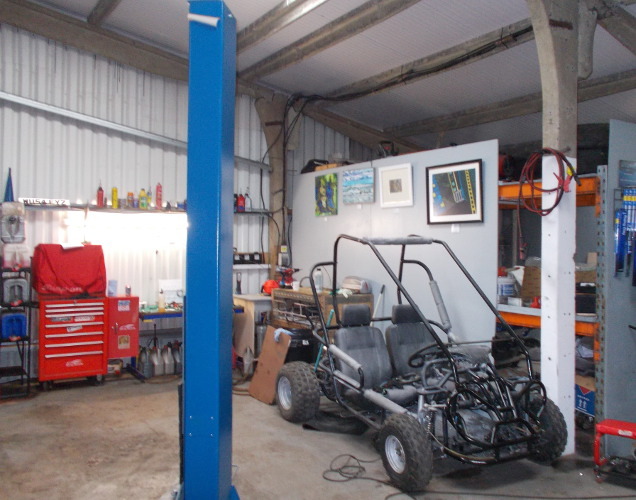 But if you were to visit SB Autos at Folly Farm on the A339 near Basingstoke, that is exactly what you will find. Left to right: pieces by Rosemary (“Apple Pie Tree”), Amanda (“Linear”), Adeliza (“Silchester Common”) and Elinor (“Stairway”).